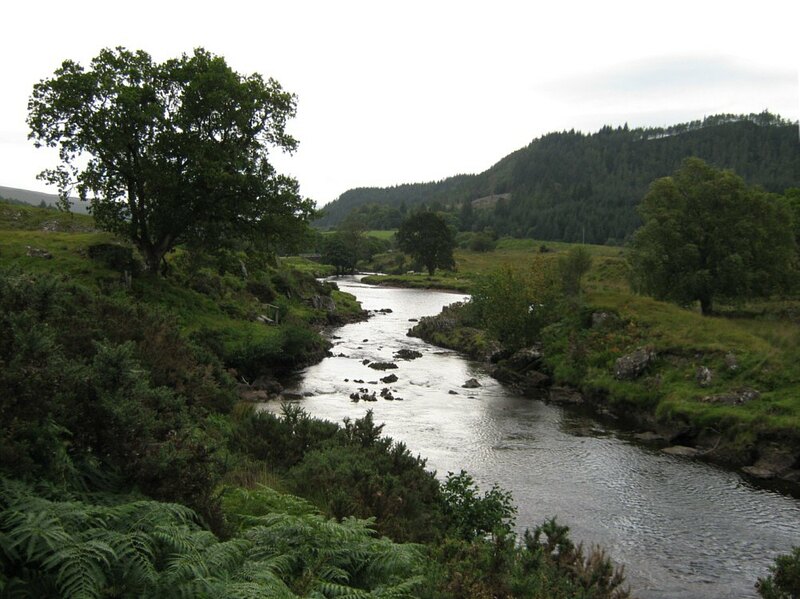 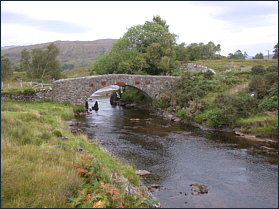 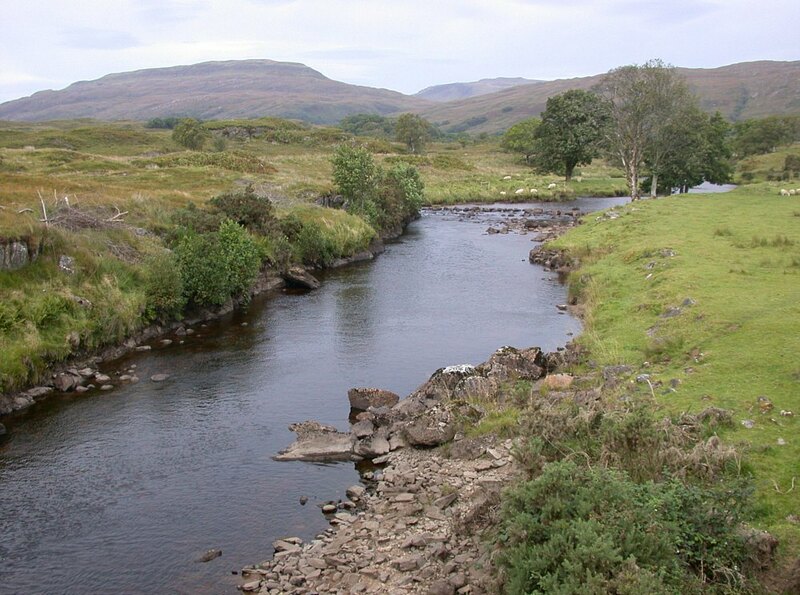 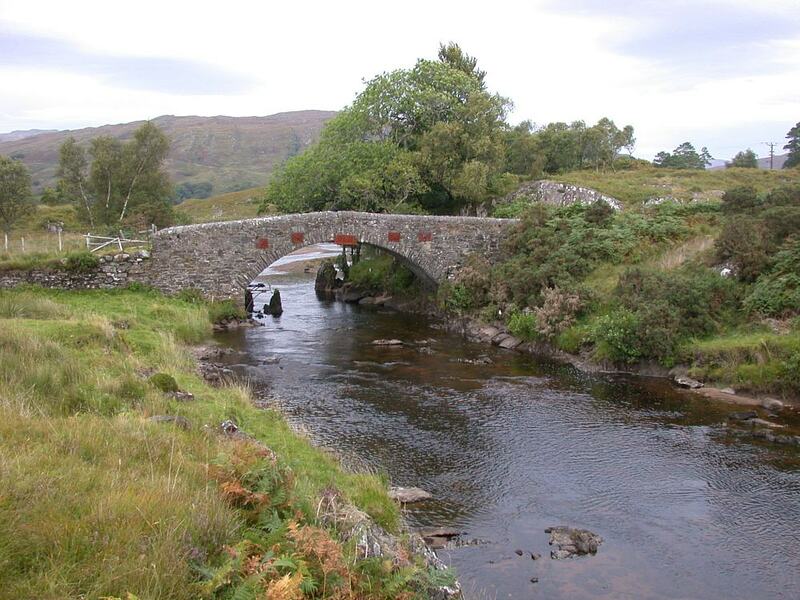 The Aline is an attractive river, three miles long, with easy access for the fisherman. 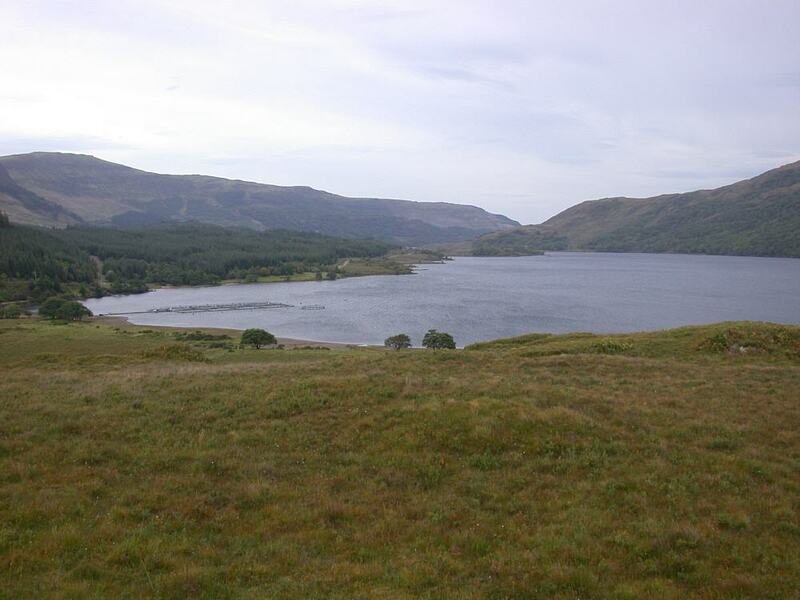 It flows out of Loch Arienas and, soon after, is joined by two tributaries which flow from the Black Glen and the White Glen (Gleann Dubh and Gleann Geal). 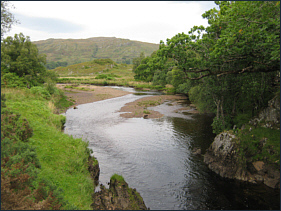 When in spate, the force of the flow from the tributaries can force the flow of the main river back into the loch, thus helping to maintain the flow of the river below for an extended period. 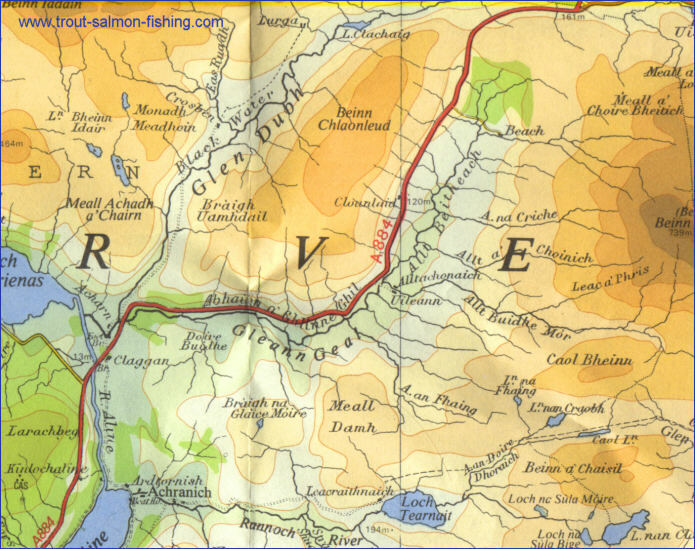 The fishing on the Aline is divided into three beats, on which the best of the fishing is from June onwards. 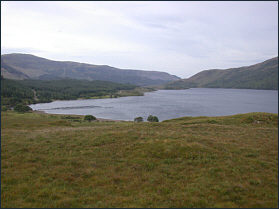 Each beat accommodates three rods. 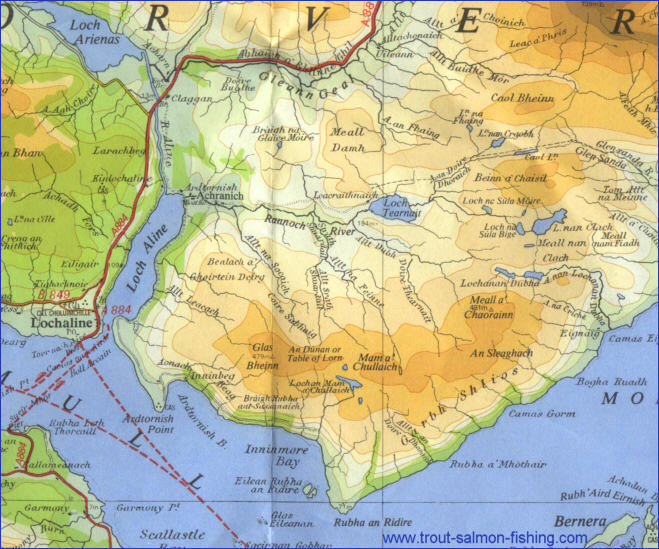 At one time, prior to the advent of the salmon farms, the Aline could be expected to produce catches of around 50 salmon and 200 sea trout. 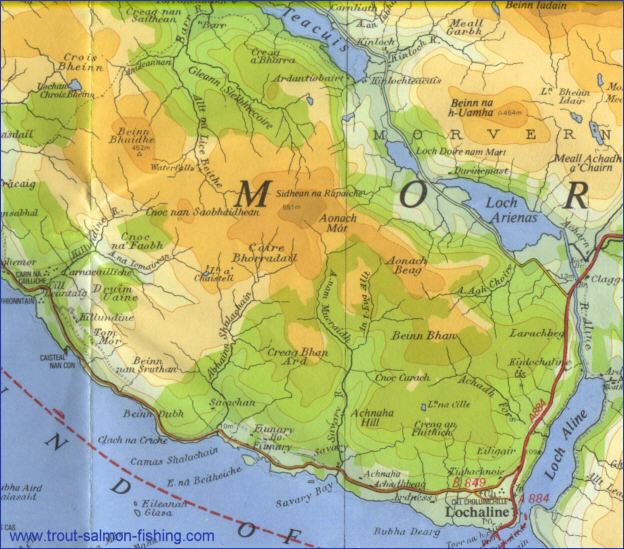 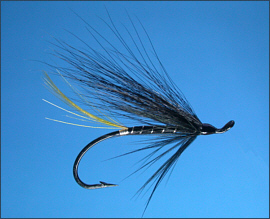 In 1998, it is reported that only 9 salmon and 48 sea trout were caught. 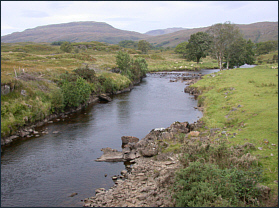 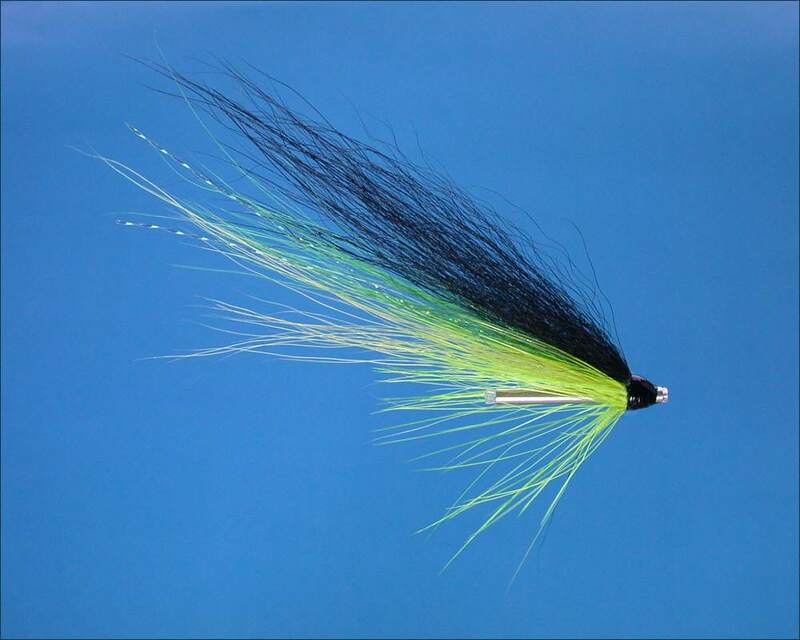 The fishing is owned and administered by Ardtornish Estate, which also has the fishing on the Rannoch, a closely neighbouring river. 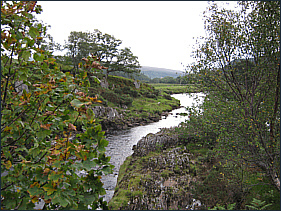 The fishing is normally let in association with holiday cottages on the estate. 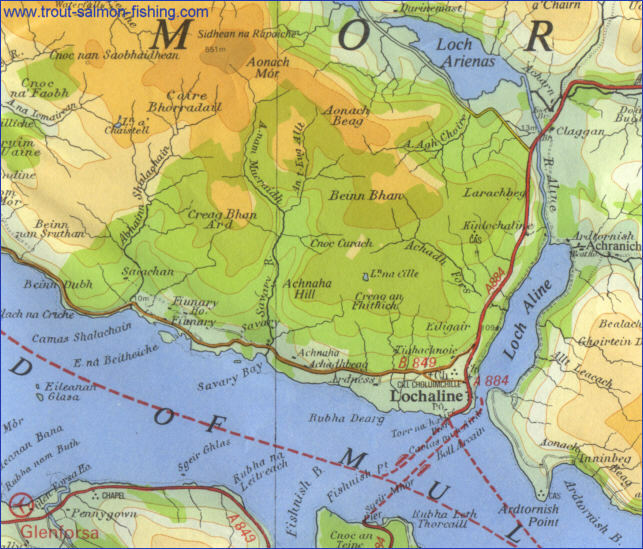 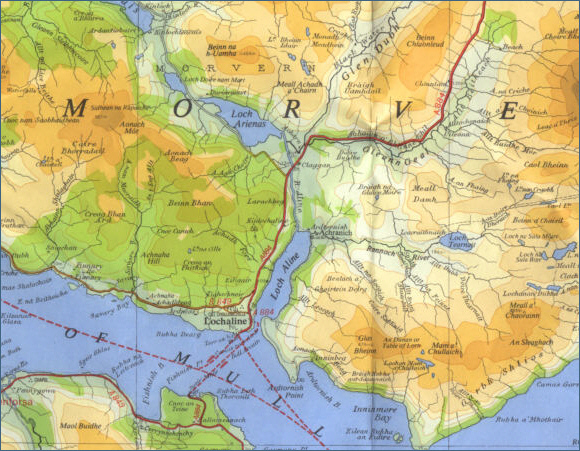 Contact Ardtornish Estate, Morvern, By Oban.